Mark Zuckerberg, the 32-year-old Facebook founder & CEO, has been touring the U.S. in search of photo ops with “ordinary folks.” The goal, as he put it, is to help him “get out and talk to more people about how they’re living, working and thinking about the future.” Then, a few days ago, the young billionaire unexpectedly announced he no longer considers himself an atheist. 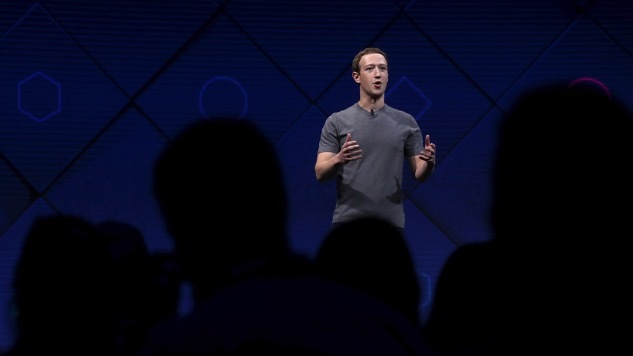 In July, Zuckerberg launched his philanthropic organization. In January, he hired former Obama campaign manager David Plouffe and former George W. Bush campaign manager Ken Mehlman. Of course Zuckerberg is thinking of pursuing the presidency. How could he not be? No doubt the social media mogul is telling himself, “Hey, if Trump can do it, why not me?” Or perhaps he’s just looking for his next big achievement—a way to celebrate turning 35 now that he’s given up buying those 700 acres on the Hawaiian island of Kauai. Whatever is going on behind that every-awkward-kid-you-grew-up-with-and-lost-touch-with baby face, it’s hard to imagine anyone in Zuckerberg’s world of high dollar fundraisers and self-congratulation who could (or would) give him a reason not to get political. But Zuckerberg isn’t political, and he has no business pursuing the nation’s highest office. His past forays into that world have been bizarre and relatively recent, betraying either a lack of core ideology or profound detachment. He has palled around with Barack Obama, given his de facto endorsement to Hillary Clinton, turned Facebook into a form of surveillance, and fundraised for embattled New Jersey Governor Chris Christie, whose leadership he praised. Rather than a pillar of genuine conviction—rather than indicating at all that he is even aware of the staggering political and economic inequality tearing the country apart—the billionaire wunderkind has fashioned himself as a poster child for banal, black-tie virtue signaling; the physical embodiment of the empty, patronizing culture of America’s socialite class. Sure, Zuckerberg connected us all. But for over a decade, he just took the money and ran. Now he’s gearing up for a presidential run? The American oligarchy is slowly becoming more apparent even to casual observers. In the past, one had to dedicate themselves to public service (generally) through military service, a governorship, or a Senate seat, and thus prove a level of competency. Now, all it takes to become a serious contender is big money behind you. 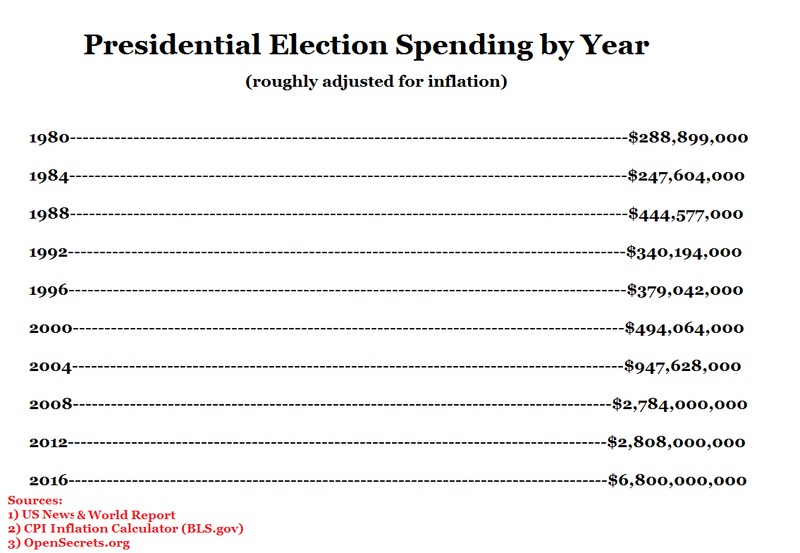 Ever since the Supreme Court decided that spending is a form of protected speech under the First Amendment in Buckley v. Valeo, the cost associated with presidential campaigns has increased every election cycle (barring two outlier years). That’s because the more money the super-rich pour into our races—presidential or otherwise—the more they drive up the cost of running, and the more entrenched they become, securing their role in our process. In so doing, the donor class is creating a system that effectively shuts out anyone from leadership positions whose agenda runs contrary to their interests—if that individual isn’t already wealthy. This is why policy outcomes are driven more by the demands of the economic elite than popular will today, and why elected officials spend so much of their time fundraising. Let’s face it, a race between two billionaires for the nation’s highest office is something our already-strained system would be unable to handle. As far as spending is concerned, it would be a bloodbath of precedent-setting proportions. The bottom line here is simple: if our democracy is to survive, power must be taken back from economic elites. That is because interests and considerations vary by class. It is doubtful Mark Zuckerberg sees it that way and, as such, has any inclination to reform the system he has been marinating in for much of his adult life. But that’s exactly why he must reconsider this pursuit.